Common perceptions of Ancient Rome are plentiful, whether they take the form of crazy emperors hosting lavish feasts, scenes of chariot races and gladiatorial combat, or processions of conquering armies. But that is only half the story. 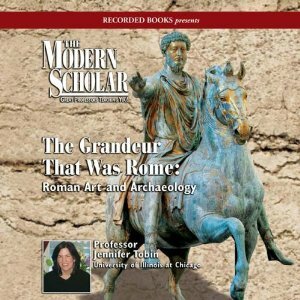 In this enlightening lecture series, Professor Jennifer Tobin presents a sweeping portrait of Rome, including the lofty developments of senatorial government, historical writing, stunning art and architecture—and even the origins of long-lived customs such as the Roman tradition of carrying a bride over the threshold.